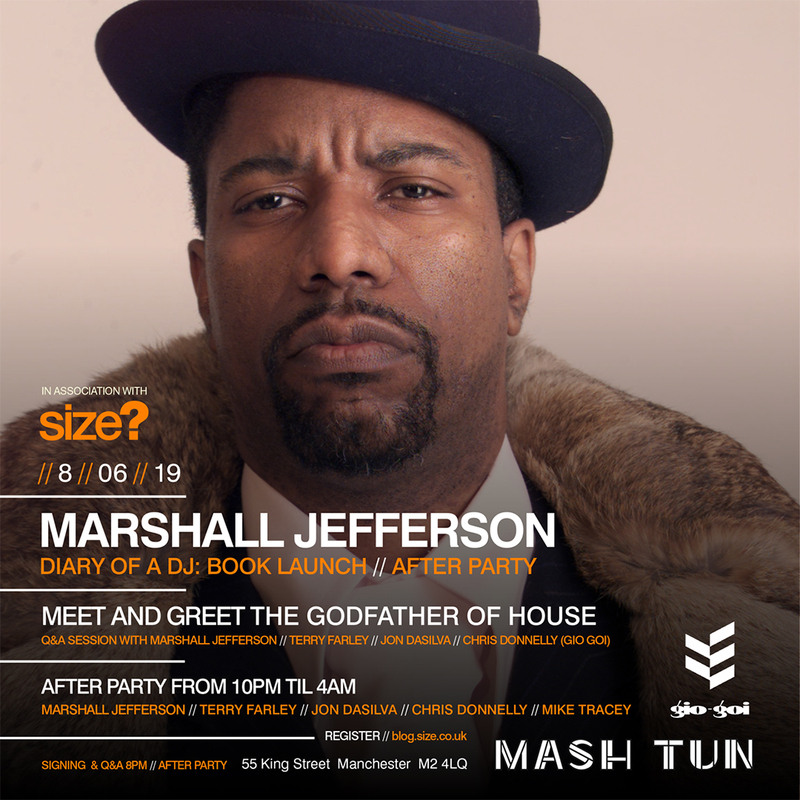 On Saturday, June 8th, the ‘Godfather of Deep House’, Marshall Jefferson, will be appearing for a meet and greet at the new Mash Tun, Manchester. Probably best known for his deep house anthem ‘Move your Body’, Marshall Jefferson is one of the most revered and pioneering dj’s to come out of the Chicago house music movement. Alongside Frankie Knuckles, Marshall Jefferson was at the forefront of the Chicago sound. For the release of his ‘Diary of a DJ’ book, we are pleased to announce that size? will be partnering with Marshall Jefferson for an official book launch and a meet and greet signing session with the Godfather of House himself. The event will consist of a Q&A session with Marshall and fellow DJ’s: Terry Farley, Jon DaSilva and Chris Donnelly (Gio Goi). Following the Q&A, there be an official afterparty running from 10pm – 4am, with sets from Terry Farley, Jon DaSilva, Chris Donnelly, Mike Tracey and headliner, Marshall Jefferson. It’s not every day a true legend and pioneer of a genre graces your city, so this definitely an event not to be missed! Keep an eye on our social channels for updates and information on guestlist. Mash Tun – 55 King Street, Manchester, M2 4LQ – Free Entry via Guestlist.